How do you transition your practice to the right buyer for the right price? A Practice Acquisitions specialist can develop the preliminary estimate of value. The preliminary estimate of value requires copies of the three prior years tax returns and a conversation with the owners about expenses that a buyer may not incur (commonly referred to as add-backs ) to arrive at normalized earnings. Fair compensation to the buyer must be deducted as part of the normalized earning calculation. There are a number of ways to value a professional practice. We utilize the cash flow method because an educated buyer won’t agree to pay a purchase price that can’t be supported by the practice cash flow. Under this method the normalized earnings need to be enough to pay the debt service on a ten year loan in the amount of the purchase price, on an after-tax basis. We have developed a proprietary tool that demonstrates to a buyer that the purchase price will cash flow over ten years on an after-tax basis assuming that the practice achieves normalized earnings each year. Note that for CPA practices a portion of the purchase price will be conditioned on client retention. The determination of timing is solely at the discretion of the Client. You want a buyer who will continue to build the practice and who will treat your employees fairly. Do you have an associate who could take over the practice? A sale to an associate can be done all at once or over time. See the section on associate buy-in for more information. If it is not possible or practical to transfer the practice to an associate then an outside buyer must be identified. 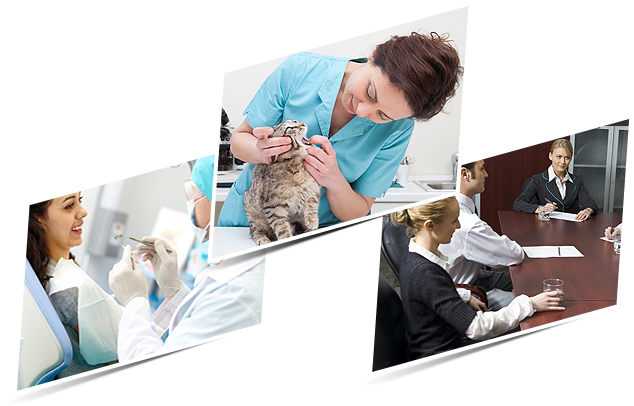 The Firm is not a practice broker for practices other than veterinary practices. If it is necessary to identify an outside buyer then it may be desirable for the Client to separately hire a practice broker. Brokers we are comfortable referring clients to are identified in the sections applicable to each profession. Once a potential buyer is identified, then the sale price must be negotiated along with the other terms of sale. The buyer may purchase the practice in installments of 49% and then 51% or 100% all at once. Bank financing of up to 100% of the purchase price of the practice is generally available for qualified buyers. If the buyer and seller can agree on the terms of the sale a letter of intent is drafted and signed by both parties. After a letter of intent is signed, an asset purchase agreement (“APA”) is drafted. Usually the buyer’s attorney drafts the APA, however if the buyer’s attorney does not have experience with professional practice sales then it is more efficient for the seller’s attorney to draft the APA. Other than in sales of physician practices the buyer will normally want the seller to enter into a covenant not to compete. If real estate is involved a real estate purchase and sale agreement is also prepared.